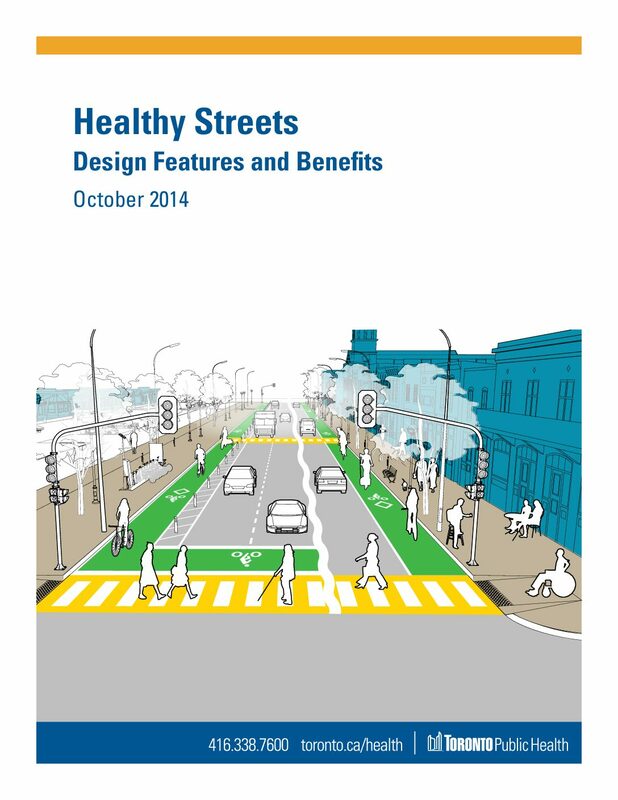 The Healthy Streets: Design Features and Benefits, produced by Toronto Public Health (TPH), highlights the health evidence and experiences of North American cities as they implement Complete Streets features. It is part of a trio of reports, commissioned by the TPH on Complete Streets and focused on the connection between Complete Streets, more active lifestyles, and better health. Healthy Streets: Jurisdictional Review looks at the experience of leading cities in implementing Complete Streets, and Healthy Streets: Evidence Review gives a thorough examination of the available research on Complete Street design interventions.